We meet monthly. Meeting locations and times vary, so sign up for our newsletter if you'd like to be notified via email about upcoming meetings. Members of the public are encouraged to attend! Check out the video below to learn about what a Food Policy Council is. To begin Squamish CAN staff, Katie Pease and Krystle tenBrink developed the Squamish food charter between 2011-2012 alongside a group of many community organizations, individuals that attended the Foodie Forums. 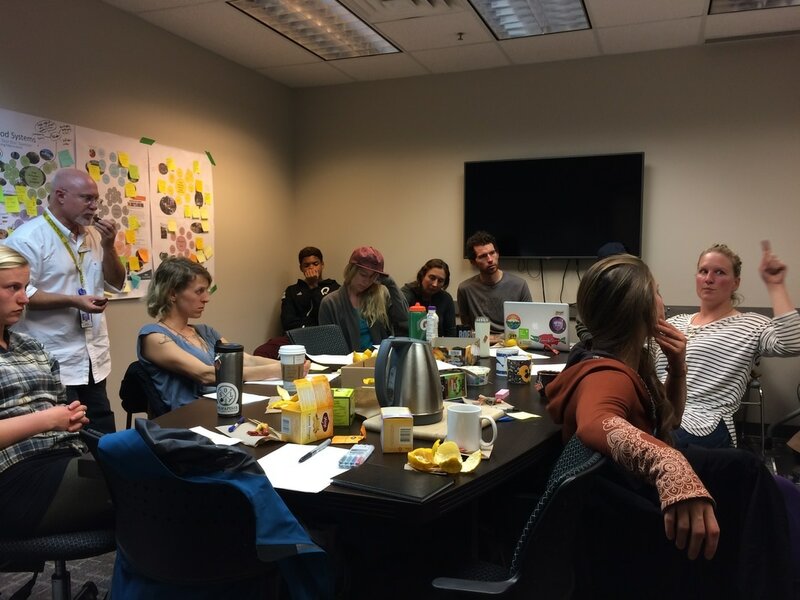 This was an informal meeting every other month to learn identify the gaps in the Squamish food system and learn about what other communities are doing. The Foodie Forums were organized by Karen Clarke and Gerry Kasten, both staff from VCH.